Contact the President of the United Nations Economic and Social Council (ECOSOC) Oh Joon (A South Korean National)! Home / Blog / Contact the President of the United Nations Economic and Social Council (ECOSOC) Oh Joon (A South Korean National)! The President of the United Nations Economic and Social Council, Oh (Family Name) Joon (Given Name), is an Ambassador of South Korea. ECOSOC is one of the six main organs of the United Nations and is the principal body for coordination, policy review, policy dialogue and recommendations on economic, social and environmental issues, as well as for implementation of the internationally agreed upon development goals. These goals include no poverty, zero hunger, good health and well-being, quality education, and responsible consumption and production. As part of striving to achieve these goals, it is imperative that we ask Ambassador Oh Joon to please add one more very important and urgent goal to the ECOSOC organization’s global goals. That one additional goal is to end the horrific cruelty associated with the dog and cat meat trade, especially in his home country of South Korea. The 2016 theme of ECOSOC is “Implementing the post-2015 development agenda: moving from commitments to results.” With your help we need to open the eyes of Ambassador Oh Joon regarding the South Korean dog meat industry. We need to motivate Ambassador Oh Joon and the committee to commit to ending the ongoing cruelty of companion animals and pursue all avenues to achieve these results! 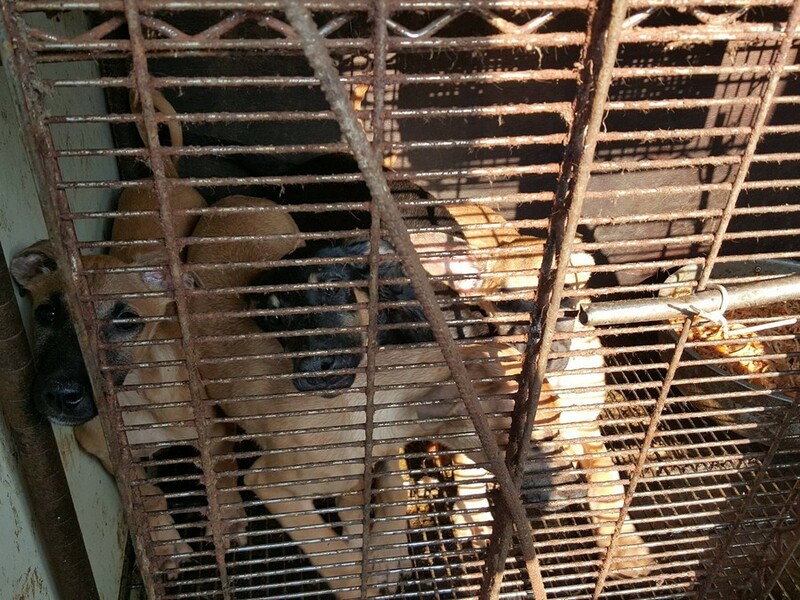 We launched an online petition campaign to urge Ambassador Oh Joon to take action to stop the torture and mass murder of millions of dogs in his country’s dog meat industry. To date Ambassador Oh and his organization has not responded. With your action of protest voiced loudly against the horrific brutality perpetrated against millions of man’s best friends in Korea, we hope to receive a positive response from Ambassador Oh’s office soon. Please take action today. Ambassador Oh Joon is in a powerful position to make a difference to bring an end to the South Korean cruelty. Call and or fax the UN ECOSOC at the UN Headquarters in New York and tell them that you want a response from the Ambassador Oh Joon regarding the torture and killing of dogs in his country’s dog meat industry! Click for UN ECOSOC Contact Info. Sign and share petition TODAY! How can South Korea be a member state and allow the most horrific crimes to go on in regards to companion animals?! Its all a bit astounding. The US has a nearly 100% Free Trade Bilateral Agreement with South Korea. We have sister cities. We are willing to send them our live pure bred animals for zero tariffs in 2016 and onwards. We have Korean grocery associations in the US. We have Korean festivals in the US. We have Korean Law Associations. We have University and congressional exchange programs like the U.S. Congress – Korean National Assembly Exchange Program, Korean markets, yet we don’t have an initiative to end the dog meat trade –yet. Please .please, plesse…YOU CAN ENFORCE THE END OF TORTURE AND PAIN TO ANIMALS IN YOUR COUNTRY. ANIMALS ARE LOVING FEELING AND FEELING BEINGS. I PRAY THAT YOU WILL PUT AN END TO THIS SUFFERING. PLEASE STOP CRUELTY!!!!! STOP SADISMO con dogs!!!!! PLEASE!!! I advocate that we do the same to the filthy Asian dog and cat murdering filth-bags.An eye for an eye! How can a nation allow such horrendous torture to be going on and how can the monsters capable of such atrocities be allowed to live among good people, animal cruelty is connected to other violent crime, there are no words to express how disgusted I am that the world leaders allow people to freely beat, boil and skin alive and otherwise neglect and torture animals, there is no hope for a peaceful future for mankind when we cause so much suffering and allow it to continue. Please STOP the torturing of these beautiful,loving & intelligent animals !!!!!!!!!!!!! How can a country be so heartless & down right evil to do the horrific things that not just myself in Canada but all over the world are seeing on our computer screens everyday. You can NO longer go on with these inhumane & down right sickening act to these animals & hide it from the rest of the world. We all know what you are doing & it’s WRONG !!!!!!!!!!! Please STOP,these animals are loving & intelligent. In Canada we train these beautiful animals to help are war vets that are disabled,to help young children with conditions that years ago would make their lives unbearable,these dogs are trained to sniff out bombs,drugs,human remains & help rescue humans from fires,floods,earthquakes & go to war & fight for our country!!!!!!!!!!!! and what does your country do,your country does the unthinkable,you torture them,then cook them alive,or hang them up in unthinkable ways so their meat taste better (Just WRONG),you torture these unconditional loving,smart & amazing animals!!!!!!!!!!!!!!!!! In my country dogs are treated with respect,they are part of our families!!!!!!!!!!!!! It’s a real shame that your country will never know what it is like to have Man’s Best Friend in your lives!!!!!!!!!!!!!!! You see in my home like millions of others our dogs & cats sleep in our beds & are a part of the family. In my country you will never see them on our plates because in my country we respect & love them unconditionally. Shame on all of you !!!!!!!!!!!!!! In my country of Canada these are Man’s Best Friend & always will be. Why don’t you join the rest of the world & try loving the dogs & cats instead of eating them !!!!!!!!!!!!!!!!!!!! It’s hard to believe that any government would allow such horrific torture of innocent animals. The S. Koreans are so vile, ignorant and disgusting that they should be shunned and not allowed to participate in world trade and business. This country is so evil and sadistic with the most absurd, idiotic beliefs. Try educating your people about kindness to all living creatures, because God put animals on this earth to be cared for and not tortured. How can you ugly people sleep at night, you’re a disgrace! Please make sure that all of us who find S. Korea so disturbing sign every petition and then pass it on to others to sign. This atrocity and the horrific suffering must end. Please STOP IT ASAP! How can the human beings be such cruel monsters and torture innocent animals! This is insane!!! Stop this bloodshed!! Stop this horror!! Tell your people it cannot be this way and it’s not normal! Ban killing and torturing the animals! Why not put Korean dogs in your will, so they can help more dogs? BASTA YA!!! ELLOS SUFREN ESTOS ACTOS SON BARBARICOS!!! During the 70s, when, with more intensity, waves of South Korean immigrants started arriving at Brazil, I became friend of two young South Korean students in my elementary school at Sao Paulo (SP). They kindly taught me how to read the Korean alphabet – since then, I have been able to read that beautiful language, although my vocabulary is almost null. However, the little I learnt in my youth was enough to make me have, as an adult, Korean Culture in high esteem. However, recently, I have been warned by friends about the dog meat trade in South Korea, as well as the so-called Bok Nal ‘Festival’. In my opinion, those horrific acts of cruelty perpetrated against dogs — the most beautiful creature natural selection has put on Earth — contrast deeply with the richness of Korean Culture and the peacefulness of Korean People. Sir, it is urgent to take measures to end that cruelty against a sentient being, capable of suffering and feeling joy. Unfortunately, because of Bok Nal ‘Festival’ and dog meat trade, South Korean People are becoming a kind of ‘Number One Enemy’ of our society, a kind of ‘soul, heartless’ people – at least, among those who care about Animal Rights. Of course, this image of South Korea and its People is unfair, no doubt. Those scenes of cruelty one can see in the internet are staining the good name of your Country in the world. I am quite sure you, Sir, and other Authorities of your Country are sensitive to this problem and will take action to stop – or, at least, to minimize – those dog farms in South Korea. I am quite sure as well that any positive act of your Government in relation to this problem will be salute by the international community of Animal Rights and will help to bring back the respect all South Korean people certainly deserve. I take the liberty of copying this letter to His Excellency Mr. Jeong-gwan Lee, the Ambassador of South Korea in Brazil, and to the Honorable Members of the Center of Korean Culture in Brazil. Thank you very much indeed for your attention. United Nations – urgent attention: Asia, Korea, DOGS ARE OUR BELOVED FRIENDS, not a cheap source of food. Breed chickens, and eat eggs. I am so surprised that adult world leaders need to be petitioned to do what is so obviously right. It’s easy, here’s how ‘GET YOUR PEOPLE TO STOP THEIR INHUMANITY TODAY’ throw them in prison. When will South Korea come into the 21st century and behave with some dignity generally. This addiction to brutalised dog meat is not about the dog meat trade alone , its as reflection of a nation with no sense of pride, courage and decency by which societies conform to establish respect for dogs and cats who have been domesticated to support and assist humans in their daily lives and teach us about humanity! But South Korea just cannot drag itself out of that dark way of life and stop feeding on subsistence repugnant dog and cat meat! This is appalling….how can this barbaric treatment of animals still be happening in this so called enlightened world! Raise your standards, principles and humanity…act NOW to end this…..
SHAME on South Korea for allowing the killing of mankind’s companion animals. Just because a cat or dog cannot speak does not mean he is immune to the agonizing pain of abuse. The world sees what is happening in South Korea and it is bringing great shame upon your country! Stop this cruelty at once. It is man’s best friend. I AGREE WITH EVERYONE HERE..THIS COUNTRY IS A DISGRACE AND SHOULD NOT BE ALLOWED TO BE A PART OF THE UN UNTIL THIS ENDS!! I CALLED THIS OFFICE TOO AND WAS DIRECTED TO CALL KOREAN MISSIONS WHO TRIED TO TELL ME TO CALL WASHINGTON CONSOLATE..I TOLD THEM I WOULD BUT MADE SURE TO ALSO LET THE WOMAN WHO ANSWERED THE PHONE KNOW THAT I PLAN ON ON BOYCOTTING ALL KOREAN PRODUCTS AND WILL INSIST THAT EVERYONE I KNOW DO THE SAME UNTIL THIS ENDS!! HONESTLY..IF WE ALL BAN TOGETHER AND BOYCOTT ALL THESE PRODUCTS THIS SHOULD HAVE AN IMPACT…ALL THESE SCUMS OF THE EARTHS KNOW ABOUT IS MONEY SO WE NEED TO SPEAK THEIR LANGUAGE. THESE MONSTERS ARE SO BACKWARDS THAT THEY DONT EVEN REALIZE HOW MUCH MORE MONEY THEY CAN MAKE IF THEY STARTED ACTING CIVILIZED FOR ONCE!!! THEY MAKE ME ASHAMED TO BE A MEMBER OF THE HUMAN RACE!! Please act now to end this unnecessary suffering. When did human beings become so void of compassion and if this horror continues where does the story end? Barbaric treatment of animals HOW can this be happening!!! Please end this suffering!!!!!!!! HORRIFIC! Makes me cry!! I now know Evil is on this earth!!!!!!!!! This treatment of companion animals is beyond horrific. How do you people allow this to go on and still be able to look at yourselves in the mirror? It is an absolute disgrace. I will never purchase ANYTHING from Korea. Głupi i prymitywny narodzie! Jak tak można znęcać się nad żywą istotą! Sami odzierajcie się ze skóry i gotujcie się żywcem! Nie macie pojęcia sadyści bardzo cierpią te zwierzaki i za to was cały świat nienawidzi!!!!!! Psychole I pokeby jesteście!;!!!! Głupi i prymitywny narodzie! Jak tak można znęcać się nad żywą istotą! Sami odzierajcie się ze skóry i gotujcie się żywcem! Nie macie pojęcia sadyści bardzo cierpią te zwierzaki i za to was cały świat nienawidzi!!!!!! Psychole I pojeby jesteście!;!!!! Życzę wam wszystkim którzy biorą udział w tym koszmarnym zabijaniu zwierząt życzę żeby was ogień spalił i woda utopiła! Jesteście pojebanymi czubami i taki horror nazywacie festiwalem!!!!!! DO NOT BUY SAMSUNG, LG, ANY SOUTH KOREAN PRODUCTS, DO NOT USE A SOUTH KOREAN AIRLINE OR VISIT KOREA, BOYCOTT THE UPCOMING 2018 OLYMPICS AND THEIR SPONSORS…ONLY MONEY TALKS…STOP SPENDING ANY MONEY ON KOREA…ALL OF KOREA…DO NOT BUY PHONES FROM SAMSUNG, LG…DO YOUR RESEARCH!!!!!!!!!!! Let’s keep at it until these monstrous farms are SHUT DOWN permanently — I continue to send emails, I continue to tweet, I continue to sign and share petitions, I continue to make calls —- I will continue until all dog/cat meat farms are destroyed — thank you to all of you who continue to work and share their knowledge in this cause — KEEP IT UP!